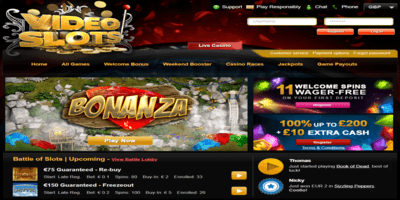 Video Slots Casino is a slots-focused online casino that has been around since 2011. They are operated by Videoslots.com Limited and licensed through the Malta Gaming Authority and the UK Gambling Commission. The casino is eCOGRA certified, which means that players are receiving the best and most stringent safety and security measures when they sign up. New players can enjoy a hefty welcome bonus upon making their first deposit with Videoslots.com. An initial deposit will earn €10 extra cash and a 100 percent match up to €200 when the promotion is activated. Everyone can receive the Weekend Booster bonus, which can be worth up to €300 per day. Every Friday, Videoslots.com accumulates a player’s total number of spins made in all non-jackpot games and pays out a guaranteed win based on those stats. The more players bet during the week, the higher the bonus is. 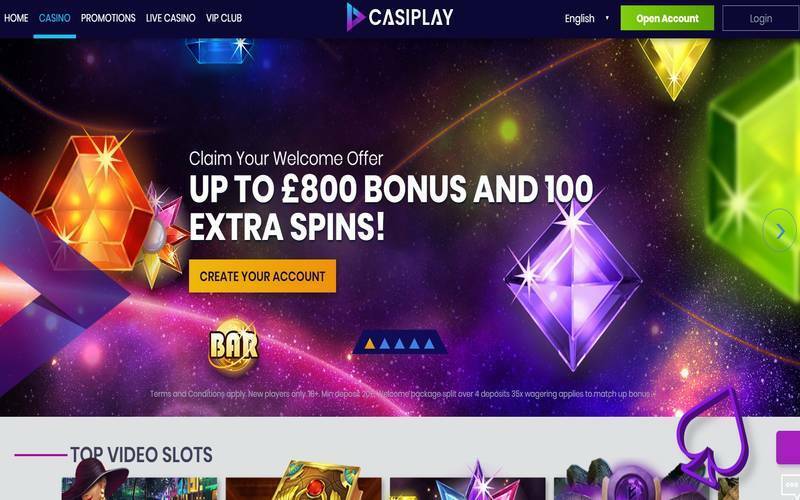 The casino offers an excellent in-browser gaming experience, and the entire site is optimized to perform flawlessly on mobile devices. This means that there are limited loading times, so it’s easy to get signed in and start playing. The library of titles available to players is extensive. Videoslots.com has aggregated nearly 3,000 games from industry favorites such as Microgaming, Cryptologic, Betsoft, Yggdrasil, Amaya and Endorphina as well as dozens of other notable software companies. Players will see popular video slot games such as Thunderstruck II, Immortal Romance, Dr. Magoo’s Adventure, Heist and Monopoly Mega Movers in addition to thousands of other titles. Those interested in table games will not be disappointed. Despite their name, Videoslots.com offers over 20 variations of blackjack, six styles of roulette, several types of video poker and 24/7 live casino tables. Should players need assistance, they will find many different contact methods on the customer care page. For urgent issues, there are options for live chat and telephone support. Non-urgent inquiries can be sent via fax or email, and they also offer an extensive FAQ section to address common questions. Players are permitted one free withdrawal per day; all subsequent withdrawals in a day incur a small fee. Transfer times vary by payment method, so while some are instant, others may take up to 24 hours. Videoslots.com is an award-winning online casino that offers its members an enormous portfolio of games from all of the best developers. Combined with their stellar customer service and stringent safety measures, this is a highly recommended casino.